On October 26, 2014 several dozen of Lebanon’s south Asian migrant workers came together to participate in a cricket tournament. Twenty teams, including three women’s teams, competed. 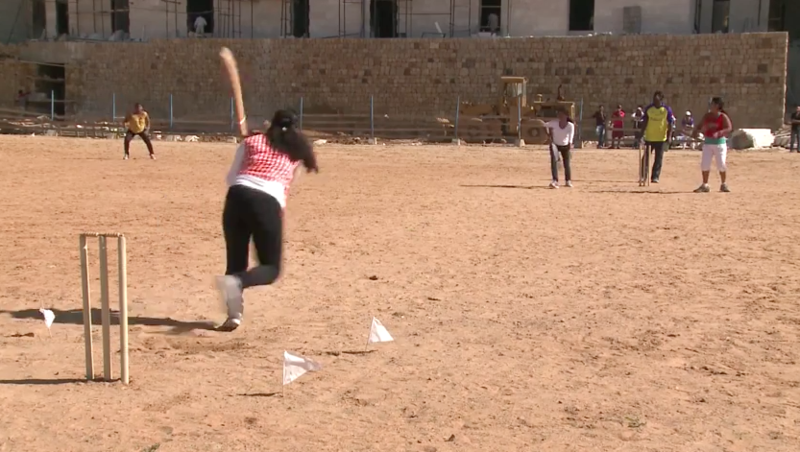 The tournament was organised by Fernando Sugath, a Sri Lankan migrant worker who has been playing cricket in Beirut’s open parking lots for several years. The International Labor Organization produced a video on the event, a rare opportunity for migrants to collectively enjoy leisure time. A game between the women's teams. “We love the game, this is part of our lives as migrant workers, this is how we enjoy our off day,” said Sugath, who supports a wife and two children back in Sri Lanka. His work contract only permits him to travel back home once every two years to see them. “But we are the few lucky ones that got the day off on Sunday. So many guys and girls, they don’t get days off,” he said. While Lebanese law entitles them to a weekly day off, many migrant workers are unaware of this and other rights. They are often obliged to negotiate holiday time and daily working hours with employers on an individual basis. Pradee, who captained one of the women’s teams, is a domestic worker.